Can you imagine any services or supports you could use to continue to live in your own home? Home delivered meals? Handyman services? Or maybe you are caring for a spouse or parent. What services could you use to better care for them? Respite care? A resource guide to find existing services? In 2013 the Oregon Legislature passed Senate Bill 21 which directed the Aging and People with Disabilities Department to develop a plan to improve and strengthen Oregon’s public long term services and supports system. But they need to hear from you: what challenges and issues you or your family face and any ideas you may have to address those challenges. Aging and People with Disabilities Department have scheduled two meetings in The Dalles on Monday, October 6th. The first is at the Center from 12:30 – 2:00 (you can come at noon and have lunch) followed by an evening meeting at Spooky’s from 5:30 to 7:00 pm. I would encourage anyone interested in the future of services and supports for older adults to attend one of these meetings to share your ideas and what you consider are the unmet needs. Representatives from the Aging and People with Disabilities Department as well as State Representative John Huffman will be in attendance to listen to your comments and suggestions. Never has there been a time when so much information is available - all by just by searching on the Internet. But that now means the individual faces the difficult task, and the responsibility, of separating the false and misleading from the accurate and reliable. This is particularly true regarding health information - when the knowing the difference can affect your wellbeing. At the Center’s last Tuesday Lecture, Molly Hamlin, from the Planetree Health Resource Center, provided the following tips on how to protect yourself from the snake oil salesmen on the Internet. You should visit sites that are set up by reputable, established medical institutions or healthcare organizations - usually identified by the .edu, .org, .net or .gov in their web address. Make sure the information is current – medical knowledge is constantly expanding. And share with your healthcare provider any health information you find on the Internet. What you should avoid are personal web sites on health issues: “Jane’s Alzheimer’s Help Page”; sites selling products: “Miracle Cure for Arthritis - only $29.95”; and sites that discount conventional medical practices: “What Your Doctor Doesn’t Want You to Know about Lowering Cholesterol”. Finally, as I have often stressed, do not disclose any personal information. If you do, at best you may be bombarded with unwanted solicitations, and at worst your identity and personal information may be compromised. http://www.mcmc.net/library. And Medlineplus (the National Library of Medicine’s website at http://www.nlm.nih.gov/medlineplus/) where you can find basic information on a comprehensive list of health topics including complimentary medicines, drugs and supplements, as well as tutorials and videos. The topic for the Center’s 11:00 Tuesday Lecture on October 7th will be “Aging in Place – the challenges and benefits”. There will be several short video presentations followed by a group discussion. Everyone is welcome to participate. For the Center’s Tuesday Night Music beginning at 7:00 on October 7th, Andre, K.C. and Tom will be performing for your dancing and listening pleasure. All ages are welcome and donations are appreciated. And the last reminder. 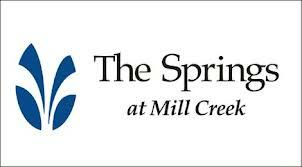 The Baby Back Rib Dinner sponsored by The Springs at Mill Creek is this Friday from 4:30 – 7:30 at the Center. Besides the finger lickin’ ribs, there will be a silent auction, and music by Hardshell Harmony. Tickets are $15 and can be purchased at the Center, Kllindt’s Booksellers or at the door. 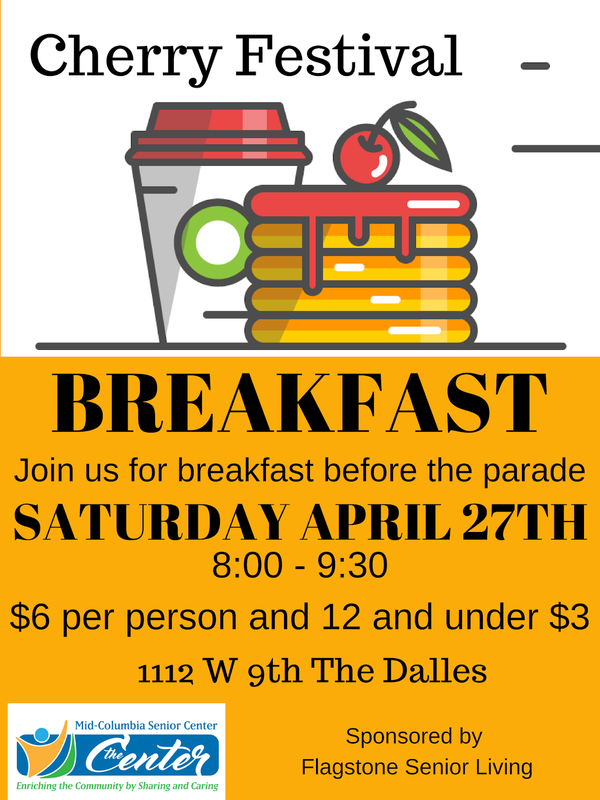 All proceeds support Meals-on-Wheels and the Center. For this week’s “Remember When” quote let’s move to the art world of the 1960’s. What American artist, a leading figure in the Pop Art Movement made the prediction "In the future everyone will be world-famous for 15 minutes."? E-mail your answer to mcseniorcenter@gmail.com, call 541-296-4788 or send it with a case of Campbell’s Soup. Well, it’s been another week trying to keep this from that. Until we meet again, don’t fret over what you can’t control - it won’t make any difference anyway. "Did you ever feel like the whole world was a tuxedo and you were a pair of brown shoes?" George Gobel on the Johnny Carson Tonight Show. We all change. And although changes occur throughout our lives, they now seem more onerous and unwanted – particularly when they affect our driving abilities. Driving is important in staying independent, but it is also one of the most complicated activities we encounter: a balancing act of perception, attention, memory, decision making, and action control. Before driving off, make sure you check yourself, your vehicle and all around you. Then while driving stay alert, keep an eye out for the other guy and expect the unexpected; and keep an adequate space between your vehicle and others to give yourself time to react if you have to stop suddenly – even though from my experience on congested roadways, some eager driver always fills the gap. At some point, you may want to avoid higher risk situations: night driving, congested streets and intersections, bad weather and busy times of the day. And although it is a difficult decision, there just may come a time when you have to give up the keys. These are suggestions from the AARP Smart Driver course which is offered monthly at the Center. In the course, you will update your knowledge of the rules of the road; and learn about normal age-related physical changes and how to adjust your driving to compensate. Because the course helps reduce auto accidents, auto insurance companies provide a discount for those who complete the course. If you are seventy or over, it is recommended you take the course every two years and for those of you under seventy - once every three years. The course is offered from 9:00 – 12:00 on the third Monday and Tuesday of most every month – in September it will be on the 15th and 16th. The cost is $20.00 and $15 for AARP members. If you are interested, call the Center to sign up. In addition, the Center’s Saturday Breakfast on September 20th, sponsored on behalf of the AARP Smart Driver Class, will recognize The Dalles’ own Dennis Davis – the #1 rated Smart Driver instructor in Oregon. A couple of quick reminders from the history file. The once in a hundred year Mosier City Centennial celebration is on Saturday the 13th and Sunday the 14th. At 1:00 on Saturday in the school gym, there will be a presentation on Ortley, the 1911 former city on 7-Mile Hill. And on Saturday at 4:00 and Sunday at 2:00 "Voices from the Past" will be presented. You can learn more at www.mosier100year.com. And if your interests lean more towards family history, on Saturday the 13th at 1:00 at the Discovery Center, the Columbia Gorge Genealogical Society presents the first of a 3-part series that will get you started on the right path. September’s topic is “Get Organized”, followed by “Get Started” on October 11th and “Get It Right” on November 8th. As several people pointed out, it’s Tuesday Night music at the Center – not Saturday night which is busy with Bingo. So let me try again. TUESDAY Night music is back at the Center with Truman playing on the 16th. Music starts at 7:00 and everyone is welcome. And don’t forget Nehemiah Brown will be singing the easy listening hits from the 40’s, 50’s and 60’s on Friday September 19th. The cost is $3.00. This week’s “Remember When” question is a back to movie quotes – this one from the highly acclaimed 1964 British - American black comedy starring Peter Sellers (in three different roles) and George C Scott. In what movie was it said "Gentlemen, you can't fight in here. This is the War Room!"? E-mail your answer to mcseniorcenter@gmail.com, call 541-296-4788 or send it by air express on a B-52 bomber. Well, it’s been another week trying to line a pig’s ear with a silk purse – or something like that. Until we meet again, learn something new every day – just try not to forget it by the time you fall asleep. Because of Labor Day, I had less time to write this week’s column, so I decided to keep it simple and include a pop quiz for some mental stimulation. I found these brainteasers on two 2012 posts written by Holly Green for the Forbes Magazine website to show how our preconceived notions combined with our brain’s tendency to see what it wants to see, greatly affects our decision making abilities. Although you may have heard some of these brainteasers before, I am sure you will be stomped by at least one of them. The answers will be included in next week’s column or if you have delayed gratification issues, they will be on the Center’s website, www.midcolumbiaseniorcenter.com, under the tab Brainteasers. And as a reminder, mental stimulation is just one of six components of brain health with the other five being physical exercise, social engagement, stress management, nutrition and a good night’s sleep. 1. A clerk at a butcher shop stands five feet ten inches tall and wears size 13 sneakers. What does he weigh? 2. How much dirt is there in a hole that measures two feet by three feet by four feet? 3. What word in the English language is always spelled incorrectly? 4. Before Mt. Everest was discovered, what was the highest mountain in the world? 5. Johnny’s mother had three children. The first child was named April. The second child was named May. What was the third child’s name? Now these next five are a little more difficult - at least that’s what my brain told me. 6. If you were running a race and you passed the person in 2nd place, what place would you be in now? 7. A man stands on one side of a river, his dog on the other. The man calls his dog, who immediately crosses the river without getting wet and without using a bridge or a boat. How did the dog do it? 8. Two boxers are in a match scheduled for 12 rounds. One of the boxers gets knocked out after only six rounds, yet no man throws a punch. How is this possible? 9. What is unusual about the following words: revive, banana, grammar, voodoo, assess, potato, dresser, uneven? 10. What makes this number unique — 8,549,176,320? After enjoying the Kiwanis Steak Feed on Thursday, September 4th from 5:00 – 7:00 up at Sorosis Park, you can look forward to Friday, October 3rd for the Baby Back Rib Dinner at the Center sponsored by The Springs at Mill Creek. 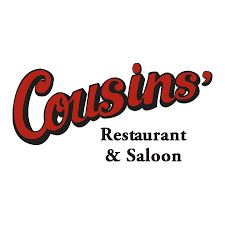 The Ribs and all the fixin’s will be served from 4:30 until 7:30, and during that time there will be a silent auction that includes a Wildhorse Casino Package consisting of a free one night stay plus dinner and passes to the Tamástslikt Cultural Institute. The musical entertainment will be provided by one of my favorite blue grass bands, Hardshell Harmony. The cost is still $15.00 per person and tickets are now available at the Center. All funds raised from the dinner will be split between Meals-on-Wheels and the Center. Saturday Night music is back at the Center with Martin and Friends playing on the 9th followed by Truman on the 16th. Music always starts at 7:00 and continues until the wee hours of the night - which for me is 9:00 pm. Everyone is welcome and donations are appreciated to support the band and the Center. This week’s “Remember When” question is not about a quote, but lyrics from a song, released in 1971, that told the metaphorical history of “rock and roll” from 1959-1969. What singer recorded the song that included the lyrics “Drove my Chevy to the levee but the levee was dry,” and whose tragic death was the inspiration for it? E-mail your answer to mcseniorcenter@gmail.com, call 541-296-4788 or send it with a 12 inch apple pie. Well, it’s been another week trying to squeeze two square pegs into one round hole. Until we meet again, you may never forget, but there will always come a time to forgive.